This family-run beachfront hotel features a restaurant, an outdoor pool and tropical-style accommodation with a private balcony. 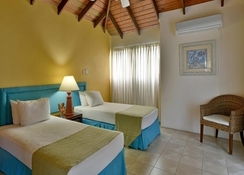 Coconut Court Beach Hotel is located in the Garrison area and the historic town of Bridgetown, a UNESCO World Heritage Site. 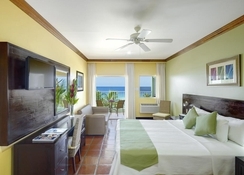 Located in a picturesque area on the beachfront, the hotel offers a selection of comfortable guestrooms including One and Two-Bedroom Apartments, Standard Rooms and Deluxe or Superior Oceanfront Rooms. 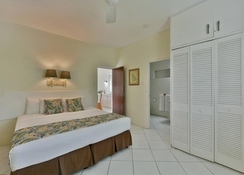 The hotel is a short walk from the South Coast Boardwalk, 4km from the buzzing St. Lawrence’s Gap and a 10-minute drive from the capital Bridgetown. Spend time in the freshwater swimming pool or jacuzzi, go snorkelling in the sea, head to Captain Charlie’s Beach Bar or discover a list of activities, tours and day trips are available at the hotel reception. The Deck Restaurant & Bar is the hotel’s main eatery, this charming open-air restaurant serves breakfast, lunch and dinner and offers evening entertainment, too. 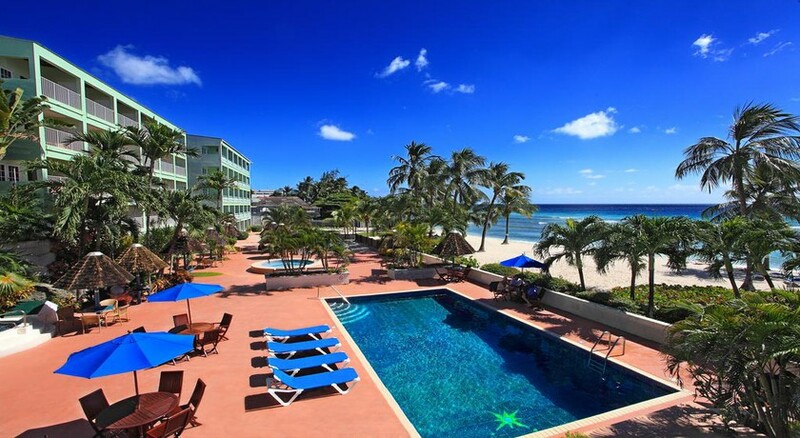 Coconut Court Beach Hotel is located within the UNESCO World Heritage district of the historic Garrison area. 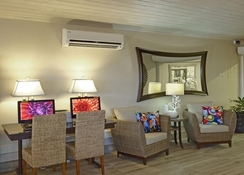 The hotel is within walking distance of the Barbados Museum, George Washington House, National Armory and the famous Garrison Savannah Racetrack. The capital Bridgetown presents itself with excellent duty free shopping. St. Lawrence Gap, Harbor Lights night club and the fishing town Oistins Bay with its popular sites are within a radius of 4-5km from the hotel. The airport is at a distance of 14km from the hotel. Guests can choose from Deluxe Oceanfront rooms, Superior Oceanfront rooms, Standard Room, One-Bedroom Apartments and Two-Bedroom Apartments. 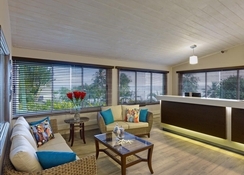 The air-conditioned rooms at Coconut Court Beach Hotel feature tiled floors and modern wooden furniture. They are each equipped with a microwave, a fridge and coffee-making facilities. Free WiFi and cable TV are included. 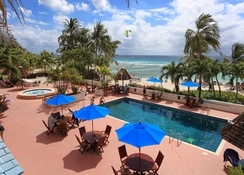 Coconut Court Beach Hotel offers a variety of food and drink options at its in-house restaurants and bars. The Deck Restaurant & Bar is an atmospheric, open-air restaurant open for breakfast, lunch and dinner and serves up local Caribbean cuisine and seafood by the sand. There is also the more casual Captain Charlie’s Beach Bar, which offers tropical and frozen cocktails and light snacks including salads, sandwiches and more to enjoy at leisure. The hotel features an inviting freshwater outdoor pool, a Jacuzzi and a fun children’s paddling pool. The sandy beach is nearby and features a safe lagoon to swim in, which is brimming with lots of small reef fish – plus keep your eyes peeled on the beach for Hawksbill Marine Turtles! The hotel also offers a variety of events and activities thaht can be booked through recepetion, ideal for day trips or tours. Excellent location and friendly staff. Room was tidy and spacious but would have been better if it was on a higher floor as we had little privacy on the low floor overlooking the courtyard. Cannot comment on the food as we booked as room only. Would definitely stay their again, but on a higher floor room.